You simply cannot tell the history of American muscle without mention of the Dodge Charger. In the late ‘60s and early ‘70s, it was the big, brash two-door that showed you meant business. Today, it’s still big and brash, but it’s no longer a two-door coupe. And expectedly, not everyone is willing to let that go… the creator of this custom car included. 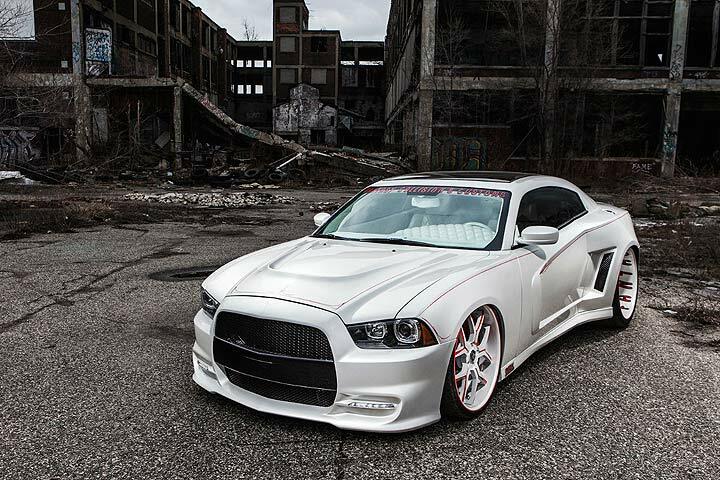 Instead, they turned this 2013 Dodge Charger R/T sedan into one heck of a head-turning, show car coupe. A listing for the jaw-dropping Charger recently surfaced online, and how do we say this… it isn’t cheap. 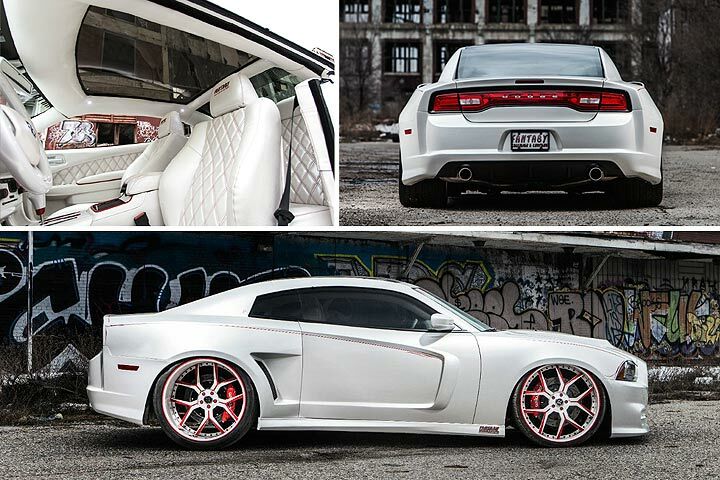 The build was undertaken by Fantasy Collision & Customs, which began with a fresh 2013 Charger and proceeded to slice a sizable portion out of the car’s midsection. The two front doors were then extended, the roof lowered, and substantial body modifications were applied to give the nip-tucked Charger more muscle. These include custom bumpers front and rear, as well as a highly aggressive widebody kit. If you will, a wider-than-widebody kit. New LED headlights and foglights find their way into the Charger’s fascia, as does a panoramic roof onto the coupe’s scalp. Inside, it’s a wash of white leather and custom pearl interior wrap. Dynamat sound deadening material has been added, rather necessarily, to complement a tuned exhaust and the fury of a Charger 5.7-liter Hemi V8. 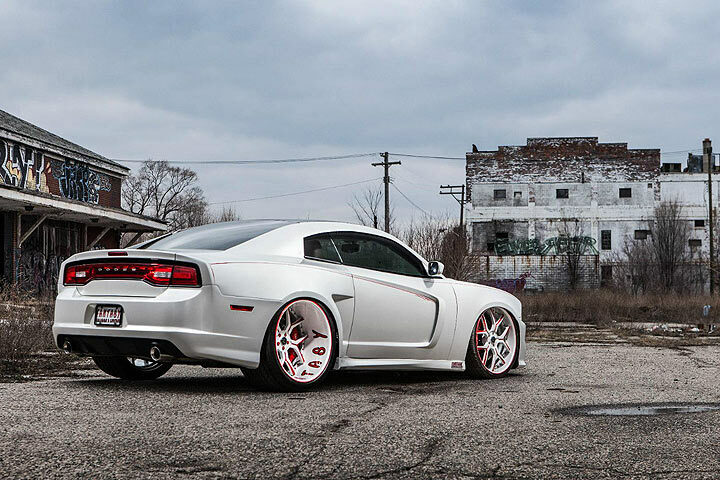 Befitting the iconic two-door Charger of old, this cut-up beast keeps its power heading solely to the rear wheels… and what massive wheels they are. The seller claims the Dodge has only 400 miles to its name, though like we mentioned, it doesn’t come cheaply. That price? Brace yourselves – a whole $120,000. Then again, it isn’t like you’ll run into too many other late model, two-door Chargers on the street.